This weekend is the WMCQ in Nagoya and I plan on being there. Unfortunately I actually do not want to win this event because I can’t go, but if I happened to be in the finals I wouldn’t be upset. This said, if I did make the finals, anyone who plays against me gets a free scoop to worlds. Now let’s take a look at what you should see this weekend. The top deck this past weekend was Junk Reanimator. This deck relies on crafting your mana and then using ‘comes into play’ effects along with reanimation to completely control the game while getting in damage. It is not uncommon for the deck to cripple your opponents lands or offense by making things disappear. Its key creatures are Thragtusk, Restoration Angel, Acidic Slime, Fiend Hunter, Angel of Serenity, and Sin Collector. All of these creatures have back breaking effects when combined together to lock out an opponent from having creatures, lands, or spells. To make things worse, if you do manage to get one in the bin, it comes back for another round of play time later on. Currently I have been playing this deck and I love the interaction between all of its spells. Expect to see lots of these decks this weekend. The number 2 deck for this last weekend was Domri Naya. 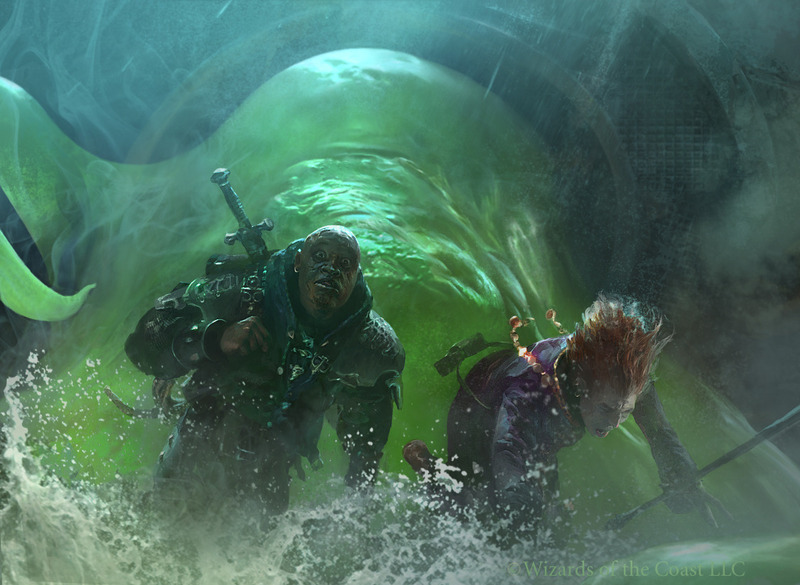 This deck drops Domri and large creatures and fights its way to victory. Their plan is to overwealm you with creatures that are just larger then yours and force through combat damage. They play very few burn spells. Key spells in this deck are Domri Rade, Thundermaw Hellkite, Loxodon Smiter, Boros Reckoner, Thragtusk, and Restoration Angel. I also expect this deck to be popular. As was shown at the GP though, this deck can be very weak to the land denial that some decks pose. Another popular deck lately has been the Aristocrats. This deck runs over players with 1/1 creatures and uses sacrifice outlets along with Blood Artist to zap your opponent’s life total. This deck’s key spells are Falkenwrath Aristocrat, Cartel Aristocrat, Blood Artist, Lingering Souls, Doomed Traveler, and Blasphemous Act. I expect a fair number of these this weekend as well. I think we will also see a fair number of Gruul Agro decks. They are looking to get in for the kill on turn 4 by curving out and finishing with a variety of 2/2’s and a few 3/3’s, followed with some burn or bloodrush. The main cards in this strategy are Rakdos Cackler, Burning Tree Emissary, Ghor-Clan Rampager, Searing Spear, and Flinthoof Boar. This deck will probably do well in the early rounds, but abruptly fall off later in the tournament. Be prepared for it, but if you are doing well then this will probably not be your main matchup. Finally the last deck that has been doing well as of recently is Bant Auras. They stick a hexproof guy then aura him up and go to town. Their goal is to just make 1 big threat that you are unable to deal with and just bash hard and fast with it. This deck is very weak to sweepers. Its key cards are, Geist of St. Traft, Invisible Stalker, Voice of Resurgence, Rancor, and Unflinching Courage. There should be a moderate amount of this archtype this weekend. Monday night there was a large showing of Reanimator with a few of the other decks that have been doing well. I ran Reanimator and placed second, while G/R Agro won it all. It was a 3 round tournament where aggro tends to shine. G/R only needs to run well for a few matches and generally doesn’t run into as much varience in the small tournaments. Looking at the world stages meta gives a good idea of what to expect this weekend and what to prepare for. There is probably a rogue deck out there that is good against these decks. The sky is the limit honestly. The only thing I see doing poorly this weekend are the dedicated control decks. There are just too many aggressive creatures and too many creatures in standard that are resilient to sweepers that control decks just can’t keep up.